Korg Poly 61 Synthesizer is the Grit! Today I found a used but in near mint condition Korg Poly 61 Synthesizer for $50 at a used music shop located a short drive from my house in Nagano-city, Japan. I must admit that I know very little about the Korg Poly 61, but for the price which included a hard case, I had to plug it in and give it a whirl. All of the presets were in the synth and after about 30 minutes of playing it, I couldn’t find one thing wrong with the synth. The sound for the most part was fantastic. I say for the most part because some of the presets were just ok, but with some tweaking I’m sure they would sound great. It’s hard to pinpoint with just a short time playing this synth, but there was something about it that I really liked. It was a bit annoying about the lack of knobs for editing the sounds, but quickly I was able to figure out how to program what I wanted. The Joystick is an absolute DREAM!!! I love it! That joystick alone can crank out some wicked sound variations. Plus the arpeggiator is a blast as well. Everything about the synth felt good and just felt for $50 bucks I could have a lot of fun with it. I should also note it’s not the “M” version which has the MIDI connections, however, that doesn’t bother me. I rather enjoy playing the keys straight and recording in real time so I actually don’t use midi all that much in my other keyboards to be honest. It would have been a nice addition, but I certainly can’t complain. 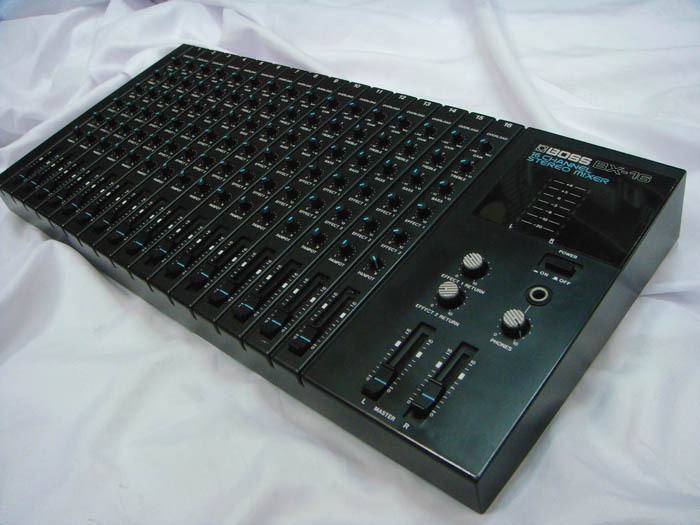 It’ll be nice to hook this up alongside my Juno 6 or Juno-106 for sure. Thus for first impressions, I rather like the Korg Poly 61. I heard it’s really cheap, but honestly I have never seen one in Japan. If I check Yahoo Japan Auction, I do see one listed for over $200, so I feel I got a great price on mine. There seem to be a lot of Roland Juno Synths around, but I really don’t see any Korg Poly 61’s so I for the moment, it’s a rarity in my book. 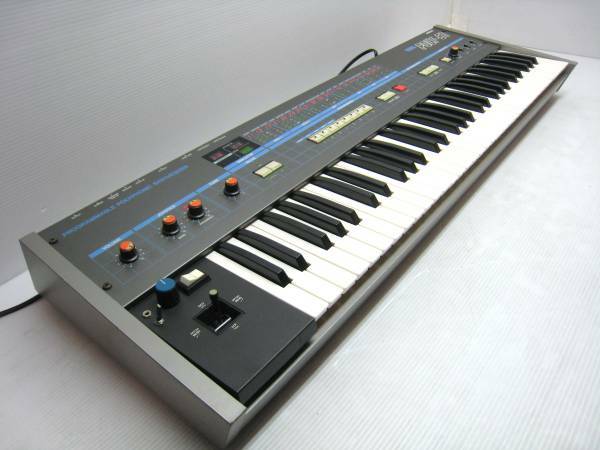 There’s only one “working” Korg Poly-61 on Ebay right now as well for $500. Wow, that’s quite a bit. There are quite a few Youtube videos highlighting the Korg Poly-61 Synth. Below is a video that I think is one of the best I’ve seen of the Korg Poly-61 Synth simply because the guy knows what he’s doing with regards to synths and he pushes it to the limit. This video showcases more of what the Korg Poly-61 can do. Yamaha DD-20 Drums for Kids! I recently picked up a used Yamaha DD-20 Digital Drum machine for my two daughters ages 4 and 6. This week I found them drumming on some cardboard boxes with paper towel tubes as drum sticks. When I saw the Yamaha DD-20 in the used music shop, I thought why not. It had to be much better than the boxes and so far the kids are having a blast with it. They both play the piano with my six year old playing pretty good right now. I thought the Yamaha DD-20, although a toy, might help them in various ways musically with their timing while exposing them to different styles of beats. Right now I can say the Yamaha DD-20 is fantastic for kids in the following ways. 1. 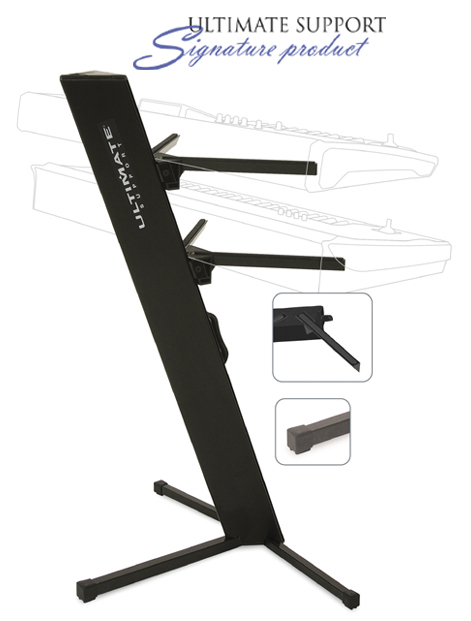 The kids use real drum sticks and can practice striking the the four pads which gives a digital drum sound. It’s quite fun for them to drum away. 2. There are speakers that actually are quite loud. It’s great that the kids can listen to the drum beats and even use head phones if necessary. 3 There are different drum kits from standard to electronic. Plus there are some special percussive sounds that allow the kids to experiment with different sounds in a drum kit. 4. Many different drum beats from rock, hip-hop, rap, pop, etc. allow the kids to be exposed to different genres of music. They can dance listening to the output via the speakers and even drum along with the beat adding additional percussive sounds to the groove. 5. 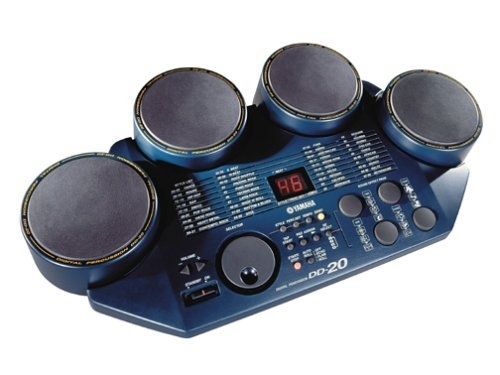 Finally, the Yamaha DD20 Drum Station is very portable. You can use batteries and take it on trips with you to give the kids something to bang on if you can stand the noise. Note again it does have a headphone jack if you need them to tone it down a bit. 6. The Yamaha DD20 also has a built in Metronome that my daughter can use to play along with when playing her keyboard or piano. Of course you can use any of the drum beats as well. The speaker is loud enough to hear over the piano. 7. Gets the kids used to using real drums sticks away from the drums too. They like to hit pillows or the carpet in front of the TV. It’s interesting to watch them keep the beat and mix things up a bit. Kids catch on rather quickly. Of course for kids older than mine you might want to go with an actual drum set or snare. However, for youngsters in the 4-6 range like mine, it’s a great musical tool to help them experience different types of sounds and beats, while at the same time give them an opportunity to vent and pound away. The Yamaha DD-20 gets their feet wet in the world of drumming. It also exposes them to all sorts of music they can dance to or play along with. I bought it used for $25 bucks and I consider it money well spent and an excellent upgrade from hitting cardboard boxes with paper towel tubes. Yamaha 4 Pad Digital Drum Machine Model: dd-20 4-touch sensitive drum pads, 4-sound effect pads, 54- assignable PCM voices (34- percussion and 20- sound effects), 100- PCM rhythm patterns, tempo control, tap start, 3- types auto-roll, built in speaker, 1 demo song, 2-digit LED readout. Also includes 10-percussion sets 9- pre-programmed and one user assignable, drum sticks included, headphone jack for private practice, Dim: 17.4″ x 9.4″ (D) x 6.4″ (H) Yamaha PA-3 Power Adaptor a $20 Value is Included. Today I found a bunch of used Smartmedia clards at the local used music shop I frequent. I was really surprised to find them and figured someone must have only recently dropped them off at the store. For $25 bucks total I was able to get one 128MB card, two 64MB cards, one 32MB, two 16MB, and one 8MB card. 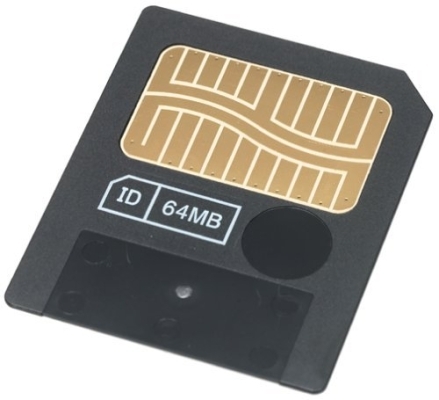 I use these smartcards primarily for some of my older music gear such as the Yamaha RS7000 Sampler Workstation, Yamaha CS6R Tone Generator, and the Korg Electribe Sample MKII. Smartmedia cards are still kind of expensive on Ebay. It’s also harder to find some of the smaller sizes such as the 16 and 32MB cards which I prefer for the Korg Electribe MKII Sampler. What I didn’t really realize or had forgotten was that a lot of Smartmedia cards were used for digital cameras. It took me a while to figure out that I had to look in the digital camera section for the Smartmedia cards instead of near the music gear that accepts them. Duh! It’s still hard to find used Compact Flash cards though which I also use for some of my older Roland gear. However, it was nice to find a cheap bag of used Smartmedia memory cards as I know those can add up in price. Now I’ll just have to keep my eye out more for other Smartmedia cards that may turn up. I’m surprised at how cheap they are sold at this particular place in Nagano-city, Japan.